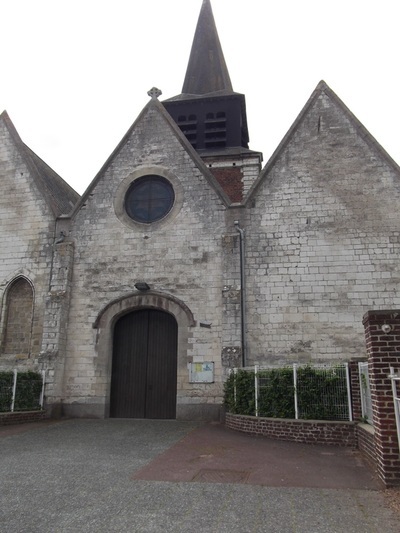 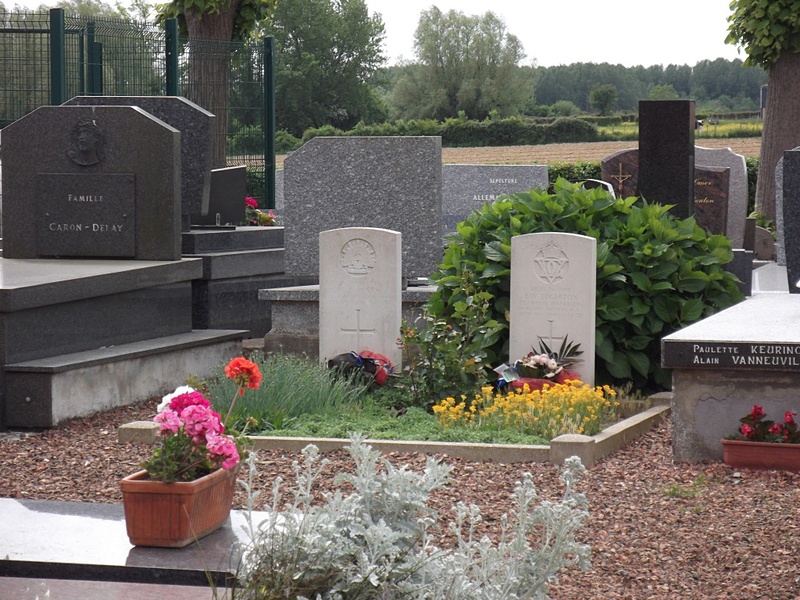 Boëseghem is a village about 45 kilometres west of Lille and 10 kilometres south-west of Hazebrouck. 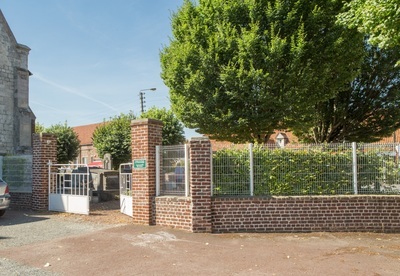 The village is on the Hazebrouck-Aire road (N16/N43B). 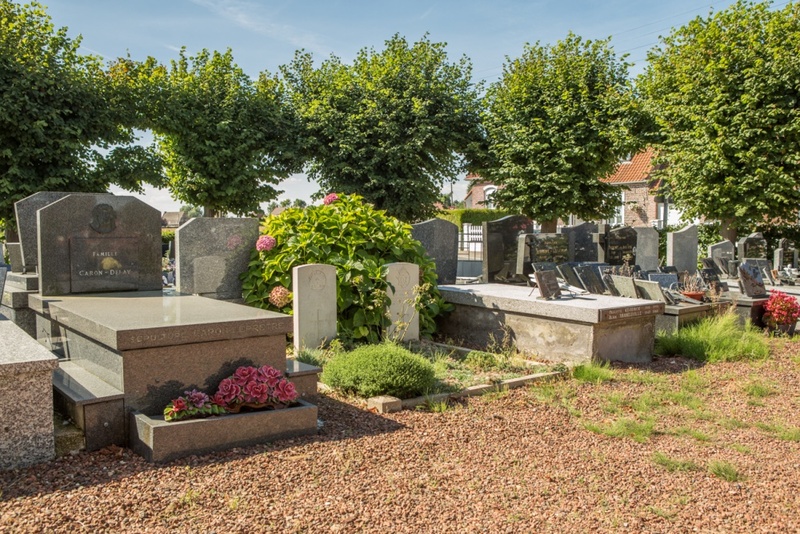 The grave can be found in the churchyard, some 6 metres from the north-western corner of the church. It is close to that of an Australian soldier who fell during the 1914-18 War. 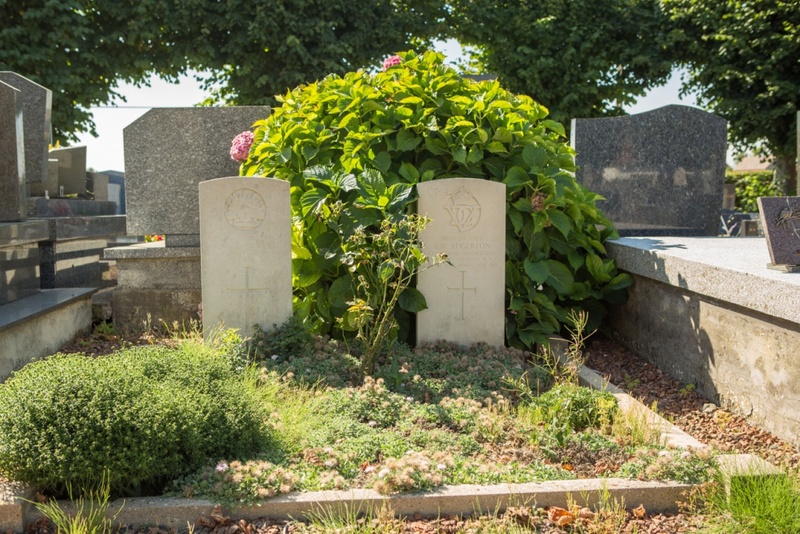 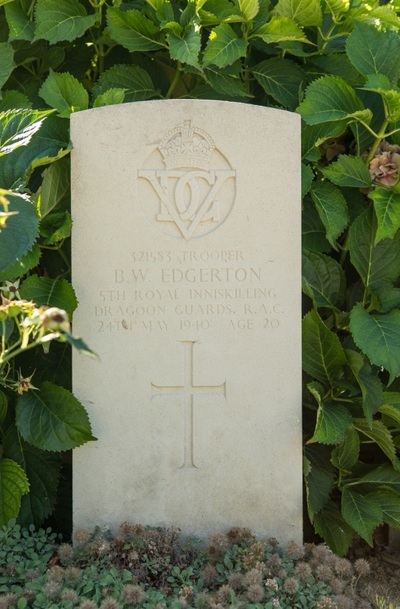 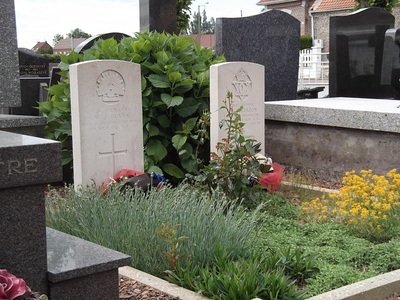 321583 Trooper Bertram William Edgerton, 5th Royal Inniskilling Dragoon Guards, Royal Armoured Corps, died 24th May 1940, aged 20. 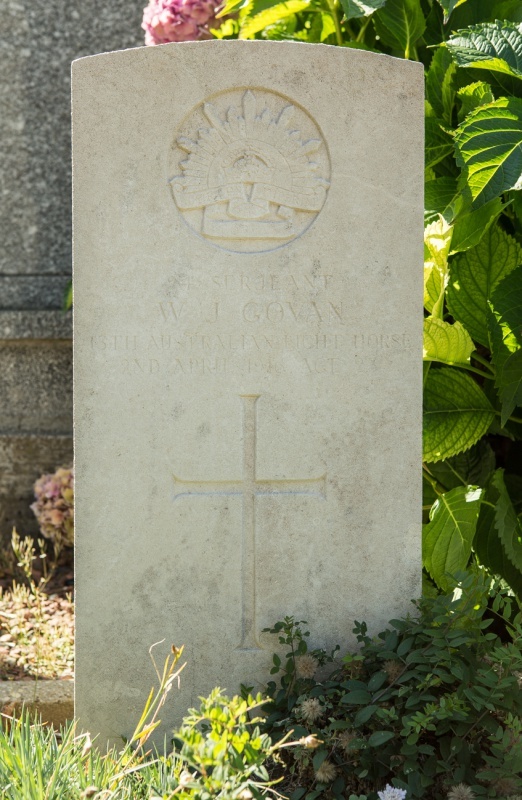 24 Sergeant Woolston James Govan, 13th Australian Light Horse, died 2nd April 1916, aged 24.